The wife and the boys have been to Bluestone three times now, myself only two as I missed one of the stays because of work sadly. The first visit they took part in the whole Christmas experience at Bluestone back in 2013, the boys got to be elves and it was all very magical apparently! My wife was very impressed with that and the boys were delighted with their elite elf training and the fact they left with lots of badges and a cute soft elf toy. How adorable they look with their little rosy cheeks! 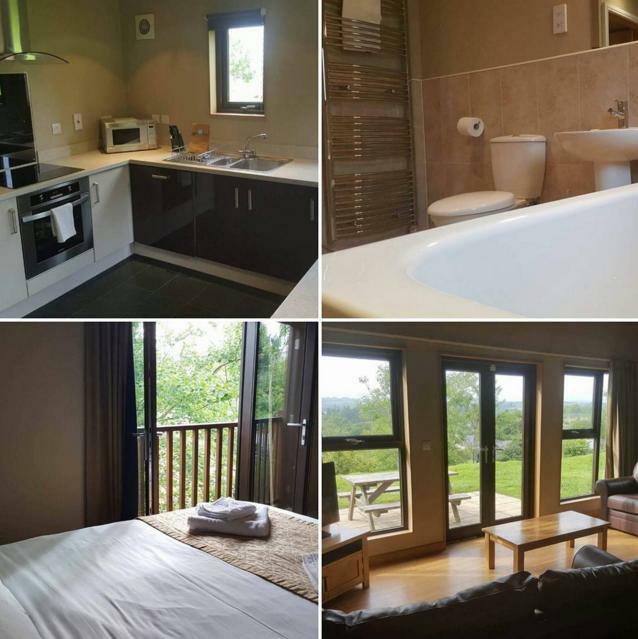 It’s a lovely place to stay; the lodges are very comfortable and have everything you could possibly need. They are quite spacious so you soon relax and unwind. There weren’t quite as many activities available to book as our stay in Center Parcs but it was probably easier on our wallet because of it. The boys enjoyed the Tawny Tales and the 4 X 4 Safari – the second visit they tried the 4 X 4 Safari again but the staff member wasn’t quite so patient with the children involved in the activity. You don’t need to spend more on activities anyway; you can enjoy the woodland walk, the pool and the indoor activity centre. In the centre your children can play adventure golf, use the bouncy castle and explore the vast adventure playground, so if the weather isn’t great you know your children will still be happily occupied. The pool is a nice temperature and everything was very clean but it’s not very big, it’s most suited for a splash around and some fun with the waves than a proper swim. We like feeding the ducks and looking out for wildlife. You can have lots of fun keeping it simple, slowing down as a family and enjoying each other’s company. Don’t feel like you need to rush straight from one activity to another. A visit to Bluestone wouldn’t be complete without toasting marshmallows in Camp Smokey. 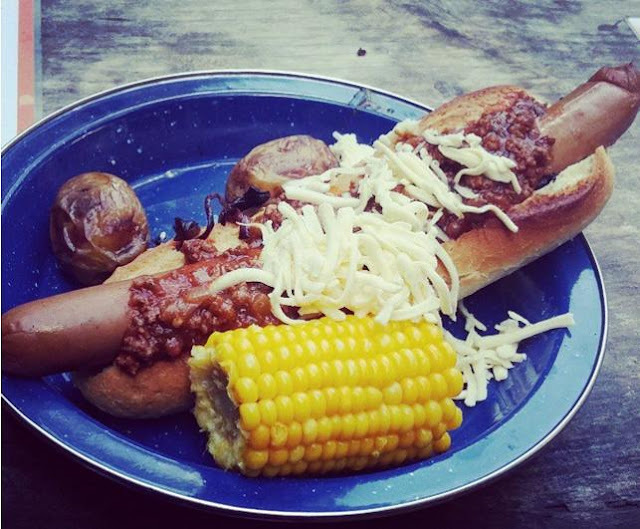 I recommend the chilli hotdog, I am not such a reluctant traveller when I know I like the food on offer. Holidaying in Bluestone you are perfectly positioned to go into Tenby, which has pretty painted houses and a lovely beach. We have also been to Folly Farm and Castell Henllys with Bluestone as our base. Don’t forget to pack your wellies!